Human footprints provide some of the most emotive and tangible evidence of our ancestors. They provide evidence of stature, presence, behaviour and in the case of early hominin footprints, evidence with respect to the evolution of human gait and foot anatomy. While human footprint sites are rare in the geological record the number of sites around the World has increased in recent years, along with the analytical tools available for their study. The aim of this book is to provide a definitive review of these recent developments with specific reference to the increased availability of three-dimensional digital elevation models of human tracks at many key sites. The book is divided into eight chapters. Following an introduction the second chapter reviews modern field methods in human ichnology focusing on the development of new analytical tools. The third chapter then reviews the major footprint sites around the World including details on several unpublished examples. 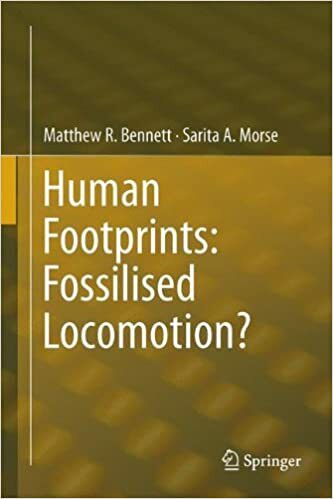 Chapters then follow on the role of geology in the formation and preservation of tracks, on the inferences that can be made from human tracks and the final chapter explores the application of this work to forensic science. This volume will be of interest to researchers and students across a wide range of disciplines – sedimentology, archaeology, forensics and palaeoanthropology.